Screenprinting is a printing technique particularly suited for flat or relatively flat surfaces. 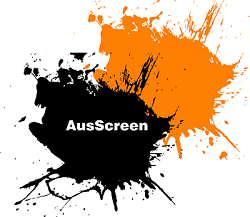 Screenprinting involves a fine mesh or screen that is tightly stretched around a rigid frame. The areas that are not to be printed are masked out on the screen using a positive film of the image. This is exposed with a UV lamp, which hardens the emulsion on the screen. The unexposed areas (that the film protected) can be washed out leaving a stencil of the image on the screen. To create the print, the exposed screen is positioned over the item to be printed. 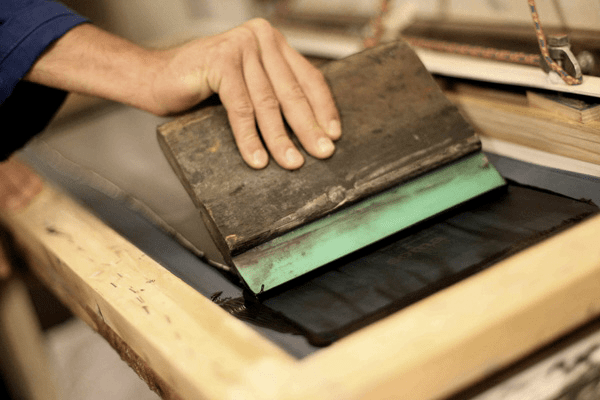 A squeegee is then used to press the ink through the screen. The masked areas prevent ink from passing through, but the unmasked areas allow the ink to be imprinted on the material. If more than one colour is desired in the final design, the process is repeated with different films and screens. For example, a design that requires three different colours would require three different films, three different screens and three different setups. If we are printing CMYK, we produce 4 screens and then the print at roughly 55 LPI. Lines per inch (LPI) is a measurement of printing resolution. A line consists of halftones that is built up by physical ink dots made by the printer device to create different tones. Specifically LPI is a measure of how close together the lines in a halftone grid are. Therefore screenprinting is best suited to solid spot colours. 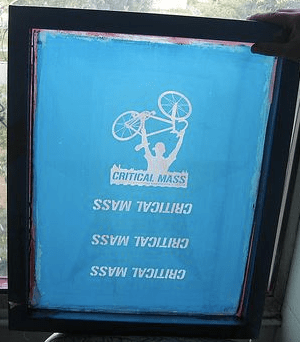 There are many pros to using Screen Printing; however, the main advantage is producing unique visual result in volume. VOLUME—Large runs of identical graphics are less expensively when screen printed rather than the digital processes. The larger the run the more then set up costs are amortised over a larger number of units. Without expensive machinery, costs are kept low. QUALITY HIGH—Under certain circumstances (Spot Colour Printing), the quality of screenprinting is higher than digital (non images) as the Inks used are UV resistant and far more vibrant. Small text and fine-line illustrations are good examples of screen printing’s strong points. Photographs, however, are usually better with a digital print. APPEARANCE—Screen printing has its own unique look. While digital provides a smooth, consistent look of perfection, screen printing has a “real life” look and feel to it. The natural textures of paint on substrate combined with the rich, pure tones of screen ink make for a unique appearance in the digital era. Depth of colour is far stronger and more vivid. DURABILITY—Sometimes “tough” is what is needed, and screen printing can fill the bill. Screen printing inks are a relatively inexpensive and, unlike digital printing inks, changing ink types is not an issue. There are many types of specialty inks, including Viospeed – A UV resistant ink for vinyl, Polycure – A UV ink for hard substrates, Corobond white is a traditional ink that will stick to just about anything and a raft of others. Because the inks are formulated to work with individual substrates, they can adhere much more permanently than digital inks to many tricky uncoated surfaces. This means like up to 10 years + can be achieved for outdoor ink. The major disadvantage in Screen Printing is the amount of time it takes to set up a job. Screen Printing involves a great many parameters before the final result, so preparation times are particularly long, particularly in high quality applications. This means that, as a method, it is financially impractical for the production of a single item. Conversely once the set ups are amortised printing is far quicker then any other method, and without the need to invest in expensive machinery like flatbed printer, it is often the most cost effective method of production.